The year that just ended has seen a serious outbreak of bloody violence against drug users and sellers in one country, it has seen drug offenders hung by the hundreds in another, it has seen efforts to fight the spread of drug-related HIV/AIDS falter for lack of funding, and it has seen the tenacity of the prohibitionist apparatus in the halls of the United Nations. But there was also good news emanating from various corners of the world, including advances in marijuana legalization in Canada, the US, and Europe and the flouting of the proscription against the coca trade in the UN anti-drug treaties. And speaking of treaties, alhough we didn't include it this year because the drug policy implications remain unclear, the fruition of years'-long peace negotiations between Colombia and the leftist rebels of the FARC, which brings an end to the Western hemisphere's longest-running guerrilla war, is certainly worth noting. 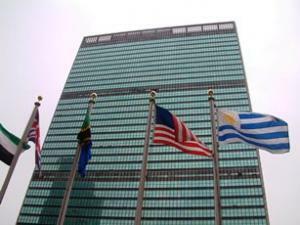 The global prohibitionist consenus was under growing strain at the UNGASS on Drugs, as civil society pressed the UN bureaucracy and member states for reforms as never before. But changes come at a glacial pace at the level of global diplomacy, and the vision of the UNGASS as a platform for discussing fundamental issues and plotting a new course ran up against the resistance of drug war hard-liners like Russia and China, and the studied indifference of European governments, who preferred that the UN drug policy center of gravity remain at the Commission on Narcotic Drugs in Vienna. And while the US delegation advocated for some good stances, it, too, opposed any meddling with the trio of UN conventions that form the legal backbone of global drug prohibition. 2. Global Harm Reduction for AIDS Remains Tragically Underfunded, and Facing Worse. Despite the repeatedly-proven positive impact of harm reduction measures in reducing the spread and prevalence of HIV/AIDS, donors continue to refuse to pony up to pay for such measures. The UNAIDS program estimates that $2.3 billion was needed to fund AIDS-related harm reduction programs last year, but only $160 million was actually invested by donors as most member states cut their aid levels. That's only 7% of the requested funding level. That's after 2015 saw the first drop in support in five years (see pages 21-22) in funding for AIDS efforts in low- and middle-income countries. The world spends an estimated $100 billion a year on fighting drugs, but it can't come up with 2.3% of that figure to fight drug-related AIDS harms. Harm Reduction International has proposed a "10x20" shift of 10% of law enforcement funding toward harm reduction services by 2020 to address the gap. Harm reduction's global funding challenges are further impacted by the global AIDS-fighting budget, which has taken a hit as the rise in the dollar has reduced the spending power of contributions from donor countries that use other currencies. Even worse, many of the countries currently benefiting from UN harm reduction funding have progressed economically to a point at which they are supposed to begin funding their own programs according to the UN development framework. But that may not be a realistic expectation, especially for the sometimes politically fraught programs needed to address disease transmission related to drug use. 3. America's Most Populous State Legalizes Marijuana, and So Do Several More. You know the global prohibitionist consensus is crumbling when the rot sets in at home, and that's what happened in November's US elections. California, Nevada, Maine, and Massachusetts all voted to legalize marijuana, joining Alaska, Colorado, Oregon, and Washington, which had led the way in 2012 and 2014. Now, some 50 million Americans live in pot-legal states, and that's going to mean increasing pressure on the government in Washington to end federal pot prohibition. It's also an example to the rest of the world. 4. Europe's Prohibitionist Consensus Begins Crumbling Around the Edges. No European nation has legalized marijuana, but signs are increasing that somebody is going to do it soon. If 2016 was any indication, the best candidates may be Italy, where a broadly supported legalization bill got a parliamentary hearing this year before surprise election results upset the country's political apple cart; Germany, where "legalization is in the air" as Berlin moves toward allowing cannabis coffee shops and Dusseldorf moves toward total marijuana legalization; and Denmark, where Copenhagen is trying yet again to legalize weed. In both Denmark and Germany, legalization isn't currently favored by the central governments, while in Italy, everything is in limbo after Europe's populist uprising swept the prime minister out of office. Still, the pressure is mounting in Europe. 5. The Dutch Are Finally Going to Do Something About the "Back Door Problem." 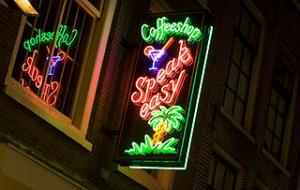 The Dutch have allowed for the sale of marijuana at "coffee shops" since the 1980s, but never made any provision for a legal pot supply for retailers. Now, after 20 years of blocking any effort to decriminalize marijuana production, Prime Minister Mark Rutte's VVD party has had a change of heart. At a party conference in November, the VVD voted to support "smart regulation" of marijuana and "to redesign the entire domain surrounding soft drugs." The full text of the resolution, supported by 81% of party members, reads: "While the sale of cannabis is tolerated at the front door, stock acquisition is now illegal. The VVD wants to end this strange situation and regulate the policy on soft drugs in a smarter way. It's time to redesign the entire domain surrounding soft drugs. This redevelopment can only take place on a national level. Municipalities should stop experiments with cannabis cultivation as soon as possible." The opposition political parties are already in support of solving the long-lived "back door problem." 6. Canada's Move Toward Marijuana Legalization Continues Apace. Justin Trudeau and the Liberals swept the Tories out of power in October 2015 with a platform that included a clear-cut call for marijuana legalization. Movement toward that goal has been slow but steady, with the task force charged with clearing the way calling for wide-ranging legalization in a report report issued in December. The Liberals say they expect to file legalization bills in the parliament this spring, and Canada remains on track to free the weed. 7. Bolivia Ignores UN Drug Treaty, Agrees to Export Coca to Ecuador. Bolivian President Evo Morales, a former coca grower union leader himself, opened the year campaigning to decriminalize the coca trade and closed it without waiting for the UN to act by inking an agreement with Ecuador to export coca there. The agreement would appear to violate the UN Single Convention on Narcotic Drugs, which bans the export of coca leaf because it contains the cocaine alkaloid, but neither Bolivia nor Ecuador seem to care. 8. Mexico Marks a Decade of Brutal Drug Wars. In December, 2006, then-President Felipe Calderon sent the Mexican army into the state of Michoacan in what he said was a bid to get serious about fighting the drug trade. It didn't work, and in fact, led to the worst prohibition-related violence in the country's history, with an estimated 100,000 + killed and tens of thousands more gone missing. Attention to the cartel wars peaked in 2012, which was a presidential election year in both the US and Mexico, and the level of killing declined after that, but has now risen back to those levels. Calderon's replacement, Enrique Pena Nieto, has publicly deemphasized the drug war, but has not substantially shifted the policy. The arrest of Sinaloa Cartel leader Joaquin "El Chapo" Guzman has weakened his cartel, but that has only led to more violence as new competitors vie for supremacy. There are signs of hope on the policy front though, if early ones, with medical marijuana being implemented, attitudes toward legalization softening, and the government playing a role in forwarding the international debate on drug policy reform. 9. Iran Has Second Thoughts About the Death Penalty for Drugs. The Islamic Republic is perhaps the world's leading drug executioner, with drug offenders accounting for the vast majority of the more than a thousand people it executed in 2015 (2016 numbers aren't in yet), but there are increasing signs the regime could change course. In November, the parliament agreed to expedite deliberations on a measure that would dramatically limit the number of people facing execution for drugs. Now, the proposal will get top priority in the Legal and Social Affairs Committee before heading before the full parliament. The measure would limit the death penalty to "organized drug lords," "armed trafficking," "repeat offenders," and "bulk drug distributors." 10. The Philippines Wages a Bloody War on Drug Users and Sellers. With the election of former Davao City Mayor Rodrigo Duterte as president, the country descended into a veritable blood-bath, as police and "vigilantes" seemingly competed to see who could kill more people faster. 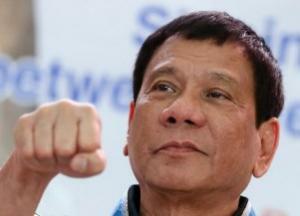 Duterte has brushed off criticism from the US, the UN, and human rights groups, and even insulted his critics, although he did have kind words to say about Donald Trump, who had kind words to say about him. As of year's end, the death toll was around 6,000, with the vigilantes claiming a slight lead over the cops. A bipartisan effort to goose federal marijuana reforms is underway, a bill that would establish a hemispheric drug policy review heads for the president's desk, the Israeli anti-drug body makes a surprise move, and more. Congressional Cannabis Caucus Created. Reps. Dana Rohrabacher (R-CA) and Earl Blumenauer (D-OR) have announced the formation of a congressional cannabis caucus to speed the passage of federal marijuana reform legislation. Another Republican, Rep. Thomas Massie (R-KY) will likely emerge as a spokesman for the caucus, which will begin meeting next month. Congress Passes Bill to Reassess Hemispheric Drug Policy. The Western Hemisphere Drug Policy Commission Act (HR1812) has passed the Congress and now heads to the president's desk. The bill sponsored by Rep. Elliot Engel (D-NY) was folded into the State Department appropriations bill. "Over the last few decades, we've spent billions and billions of taxpayer dollars on counter-narcotics programs in Latin America and the Caribbean," said Engel. "The Western Hemisphere Drug Policy Commission will force us to take a fresh look at our drug policy and make sure we have the best strategy moving forward. We need to have an honest assessment of what has worked and what has failed as we consider how to spend our counter-narcotics dollars in the future. With heroin use on the rise here at home, our children deserve no less than a fair evaluation of our drug policy." Study Slams Virginia Drivers' License Suspensions for Drug Convictions. Under a law dubbed "a relic of the drug war," some 38,000 Virginians lose their driving privileges each year, not for traffic offenses, but for any drug conviction, including the possession of small amounts of marijuana. A new study from the Prison Policy Initiative contends that the law is counterproductive, threatens public safety, and unnecessarily burdens low income offenders by limiting their ability to get or keep a job, pay fines, and cover expenses like child support. Colombia President Accepts Nobel Peace Prize, Slams Drug War. President Juan Manuel Santos was awarded the prize for his critical role in overseeing lengthy peace negotiations with FARC rebels that have now resulted in an accord ending the world's longest-running civil war. In his acceptance speech Saturday, he reiterated his call for a "rethink" of the war on drugs, saying "Colombia has been the country that has paid the highest costs in deaths and sacrifices. He also suggested that changing policies in the US make it unreasonable to prosecute the drug war in Colombia. "It makes no sense to imprison a peasant who grows marijuana, when nowadays, for example, its cultivation and use are legal in eight states of the United States," he said. Israel's Anti-Drug Body Reverses Itself, Calls for Drug Decriminalization. In a surprise move, the Israel Anti-Drug Authority told the Knesset's Special Committee on Drug and Alcohol Abuse that it supports the "Portugal model," where drug use and possession is decriminalized and treated as a public health issue and called for the decriminalization of up to 25 grams of marijuana. Reform foe Public Security Minister Gilad Erdan is expected to object strenuously. A new Pew poll has support for marijuana legalization at 57% nationwide, the DEA is forced to back away from its kratom ban, France opens its first supervised injection site, and more. New National Poll Has Solid Majority Support for Legalization. A new Pew Research Center poll released today has support for marijuana legalization nationwide at 57%, with 37% opposed. A recent Gallup poll had it at 58%. Pew says the numbers show that public opinion on the issue has flipped in the past decade. In 2006, only 32% supported legalization, with 60% opposed. 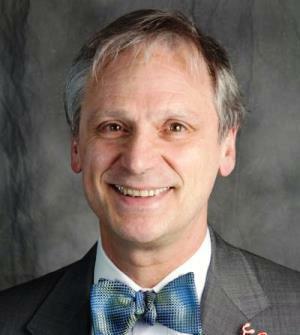 Delaware Legislator Vows to File Legalization Bill Next Year. State Sen. Margaret Rose Henry (D), the Senate majority whip, said she will introduce a pot legalization bill in January. "It's certainly being considered. It's going to be an uphill battle," Henry said Tuesday during a meeting of the state Medical Marijuana Act Oversight Committee. "But it's time, quite frankly. It's time to certainly look at it." Nevada's Largest Labor Union Endorses Legalization Initiative. Culinary Union Local 226, the largest labor union in the state, is getting behind the Question 2 legalization initiative. The union represents some 60,000 workers in the Silver State. Florida Poll Has Initiative With Strong Lead. A new poll from the Public Opinion Research Laboratory at the University of North Florida has more than three-out-four likely voters supporting the Question 2 medical marijuana initiative. The poll had support at 77%. The initiative needs 60% to win because it is a constitutional amendment. In Unprecedented Move, DEA Backs Away from Kratom Ban -- At Least for Now. 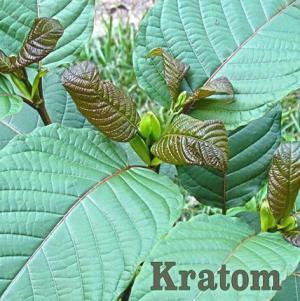 The Drug Enforcement Administration (DEA) has posted a notice in the Federal Register stating that it is withdrawing its plans to ban kratom using emergency scheduling powers. The DEA instead is opening a public comment period ending December 1st. The official notice indicates that comments received by the DEA will be considered -- along with formal input from the Food and Drug Administration -- before a determination is made about scheduling kratom. The DEA's proposed ban on kratom, a medicinal plant used for millennia in Southeast Asia and currently by millions in the US, was anticipated to go in effect as early as September 30. The DEA retreat came amidst enormous pressure on the agency from the public and lawmakers to halt the ban. France's First Supervised Injection Site is Open for Business. France has now joined a growing list of European countries that operate supervised injection facilities for drug users. After the Socialist government pushed through legislation allowing them last year, the first one in France opened Tuesday near Paris's Gare du Nord train station. Peru Renews Military Operations in Key Coca Growing Area. The Peruvian government announced last week that it is declaring a 60-day state of emergency in parts of the Valleys of the Apurimac, Ene, and Mantaro Rivers (VRAEM), a key coca producing region. The area had been under a state of emergency for 30 years until last year, when the government ended it after capturing several Shining Path operatives. 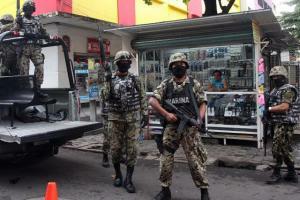 But now, the military is back with twin briefs to fight drug trafficking and "narcoterrorism." Cayman Island Lawmakers Approve Medical Marijuana Bill.Lawmakers in the Caribbean island nation voted Monday to legalize the use of CBD cannabis oil for medicinal purposes. The measure still faces one final vote, and could require some tweaking before such medicines become available. No one in the Cayman Islands produces CBD cannabis oil, and it could be problematic to try to import it from the US because of federal marijuana prohibition. A new report finds legal marijuana has been good for Colorado's economy, the White House announces President Obama will sign CARA, and more. 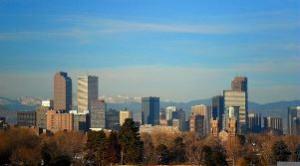 Report Finds Legal Marijuana Bolstering Retail, Manufacturing in Colorado. In a new report, the University of Colorado Leeds School of Business finds that the state's marijuana industry is bumping up retail sales and hiring in manufacturing. Recreational cannabis sales began in 2014. That year, "We had a 3.5% increase in employment. In 2015, a 4.9% increase in food-manufacturing employment," the report said. "The data doesn't allow us to slice and dice to say, 'These are indeed edibles or not,' but the recognition is this is where they would be classified." Likewise, chemical manufacturing jobs vanished at a rate of 2.2% a year from 2002 to 2012, but increased 2.1% in 2013, 1.4% in 2014, and 3.9% last year. Chemical manufacturing includes producing cannabis oils. Obama Will Sign Opioids Bill Despite Lack of Funding. President Obama will sign into law the Comprehensive Addiction and Recovery Act (S. 524) even though Congress failed to adequately fund it, the White House said Wednesday. The bill "falls far short" of necessary funding, but Obama will sign it "because some action is better than none." More funds could be appropriated in the future, but that's by no means a done deal. 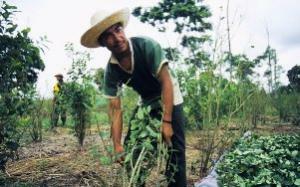 Peru Takes Aim at Coca Cultivation in the VRAEM. The country's anti-drug agency, DEVIDA, said Thursday in is ready to eradicate coca plants in the remote and lawless Valleys of the Rio, Apurimac, and Mantaro Rivers (VRAEM) region of south-central Peru. The government has held off on eradication in the region, a major coca producer and home to a remnant of the Shining Path rebels. About three-quarters of the country's coca is grown there, and DEVIDA is ready to go after it. "Today I can say that the conditions are now entirely there for a drastic reduction in the coverage of coca in the VRAEM," Devida chief Alberto Otarola said in a news conference. "No part of Peru should be exempt from the rule of law." Medical marijuana is getting some attention on Capitol Hill, Arizona legalization foes go to court to try to block the initiative, Maine rejects medical marijuana for opiate addiction, Colombia and the FARC rebels partner on a coca crop substitution pilot program, and more. Arizona Prohibitionists File Lawsuit to Block Legalization Initiative. Legalization opponents Arizonans for Responsible Drug Policy have joined two county attorneys in filing a lawsuit to block the Campaign to Regulate Marijuana Like Alcohol's legalization initiative from going before voters in November. The lawsuit claims the initiative is "misleading" and is not accurately summarized by its title and text. Legalization opponents in Massachusetts tried a similar tactic earlier this year. They failed. Michigan Asks Judge to Throw Out Legalization Group's Ballot Access Challenge. The state is asking the Court of Claims to dismiss a lawsuit from MI Legalize, which is seeking to place its legalization initiative on the November ballot. The group gathered more than 350,000 signatures and only needed some 252,000 to qualify, but some of those signatures were obtained outside a 180-day window generally mandated by state law. In seeking dismissal, the state argues that there isn't enough time to get the measure on the ballot now, the lawsuit fails to identify constitutional claims and contradicts earlier state Supreme Court rulings. Kansas City Marijuana Advocates Launch Decriminalization Initiative Campaign. The Kansas City, Missouri, NORML branch is collecting signatures to get a decriminalization initiative on the November ballot. The proposal would decriminalize up to 35 grams of pot, with a maximum fine of $25. The group needs 1,708 valid voter signatures by August 25, but says it plans to gather hundreds more than that and has 800 already. GOP Rejects Medical Marijuana Platform Plank. Republican delegates meeting Monday in Cleveland ahead of the party's national convention voted against endorsing medical marijuana in their party platform. The vote came after contentious debate, with some delegates making claims about marijuana reminiscent of Reefer Madness. One delegate claimed people who commit mass murders are "young boys from divorced families, and they're all smoking pot," another compared medical marijuana to physically addictive and potentially lethal prescription opiates. Still, it took two voice votes for the measure to be voted down. Senate Subcommittee Hearing on Medical Marijuana Research Today. The US Senate Judiciary Subcommittee on Crime and Terrorism is scheduled to hold a hearing today on "Researching the Potential Medical Benefits and Risks of Marijuana." Testimony will be heard from Sens. Kirsten Gillibrand (D-NY) and Cory Booker (D-NJ), who are original co-sponsors of medical marijuana legislation introduced last year in the Senate known as the Compassionate Access, Research Expansion, and Respect States (CARERS) Act (S 683). Other scheduled witnesses include officials from the National Institute on Drug Abuse (NIDA) and the Food and Drug Administration (FDA), among others. Senators Feinstein and Grassley Call for Expedited Evaluation of Medical Uses of CBDs. The two Senate octogenarians have asked Attorney General Loretta Lynch and Health and Human Services Director Sylvia Burwell for the two agencies to work together to remove barriers to the scientific and medical evaluation of cannabidiol (CBD). The pair, who are, respectively, the co-chair and chair of the Senate Caucus on International Narcotics Control, made their request in a letter to the two agency heads. Maine Rejects Including Opiate Addiction as Qualifying Condition for Medical Marijuana. The administration of Tea Party Gov. Paul LePage (R) has rejected a petition seeking to include opiate addiction on the state's list of qualifying conditions for medical marijuana. State officials said the case for inclusion was "compelling," but they also said human studies hadn't been done and more research was needed. Colombia and FARC Rebels Begin Coca Substitution Pilot Program. The government and the guerrillas Sunday began a pilot project to wean farmers off coca by offering them alternative crops. The move comes as the UN Office on Drugs and Crime reports that coca production is booming in what farmers see as a last opportunity to cash in before peace allows for a serious crop substitution effort. Some 500 small farmers are voluntarily participating in the program, which will be used as a model for the rest of the country after the FARC and the government reach final peace agreements. Two presidential candidates get "A" grades on marijuana policy, racial disparities in marijuana law enforcement persist in Los Angeles even in the age of decriminalization, Bolivians protest a new US drug trafficking law that extends Uncle Sam's reach, and more. Marijuana Policy Project Updates Guide to Presidential Candidates, Adds Third Parties. MPP has released an updated version of its voters' guide to include Libertarian Party candidate Gary Johnson and Green Party candidate Jill Stein. Both received "A+" grades from the group. Republican presumptive nominee Donald Trump got a "C+," while the two remaining contenders, Hillary Clinton and Bernie Sanders, received a "B" and an "A," respectively. MPP called this "the most marijuana-friendly field of presidential candidates in history." In Los Angeles, Racial Disparities in Marijuana Enforcement Persist. A new analysis from the ACLU and the Drug Policy Alliance finds that even in the era of decriminalization, blacks in Los Angeles are much more likely to be ticketed for pot possession than whites or Latinos. Although pot use was "similar across racial and ethnic lines," blacks were nearly four times more likely than whites to be ticketed and about 2 ½ times more likely than Latinos to be ticketed. Maine Legalization Effort Gets Organized Opposition. A new coalition aimed at defeating the state's legalization initiative has formed. The group, Mainers Protecting Our Youth and Communities, says it represents parents, health experts, clergy, and police. Its spokesman is Scott Gagnon, chair of the Maine affiliate of Smart Approaches to Marijuana, the brainchild of leading pot prohibitionist Kevin Sabet. Oklahoma Reserve Deputy Who Mistakenly Killed Drug Suspect Gets Four Years in Prison. Former reserve deputy Robert Bates, who fatally shot unarmed drug suspect Eric Harris in April 2015 after he said he mistakenly drew his handgun instead of his stun gun, was sentenced to four years in state prison Tuesday. The killing raised the veil on favoritism and corner-cutting in the Tulsa County Sheriff's Office and led to an indictment of Sheriff Stanley Glanz, who resigned last November. Bolivians Reject New US Drug Trafficking Law. 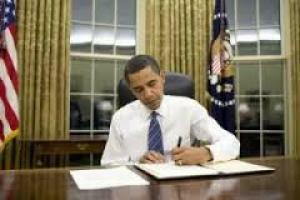 Political and social leaders, peasants, and coca growers rejected the new US Transnational Drug Trafficking Act, signed into law by President Obama last month. According to the Congressional Research Service, the act criminalizes the manufacture or distribution of a controlled substance "by individuals having reasonable cause to believe that such a substance or chemical will unlawfully be imported into the United States…" On Tuesday, hundreds of people marched through the city of Santa Cruz to protest the law, which they said could target coca growers, and President Evo Morales warned that Bolivia is not a US colony and added that coca is part of the country's cultural patrimony. Joep Oomen, a key figure in European civil society drug reform efforts, has died unexpectedly of natural causes at his home in Antwerp, Belgium. He was found by colleagues dead in bed Friday when they went looking for him after he failed to show up for a meeting. He was 54 years old. 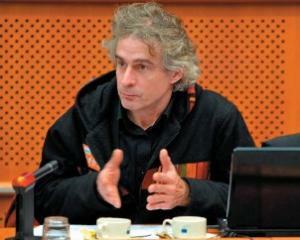 A veteran activist with more than a quarter century of organizing under his belt, Oomen was the cofounder of numerous drug reform NGOs, including the European Coalition for Just and Effective Drug Policies (ENCOD), the Trekt Uw Plant cannabis cultivation social club in Antwerp, and the Dutch Union for the Abolition of Cannabis Prohibtion (VOC). Joep's vision of a world without drug war drew his attention beyond Europe's borders as well. He had been active with groups like Mama Coca and Friends of the Coca Leaf in working to see the coca plant treated with the respect it deserves, and had been a steady presence at organizing around the United Nations' international drug prohibition bureaucracy. "Joep was the kind of activist you only very rarely come across," wrote VOC chairman Derrick Bergman. "He combined a seemingly inexhaustible drive and perseverance with impeccable integrity and transparency. Joep spoke fluent Spanish since his studies in Amsterdam in the eighties, he became half-Flemish in Antwerp, but in the end he was primarily a world citizen. I consider myself lucky to have known Joep and to have worked closely with him for eight years with the VOC and Encod. He was not only a hugely effective and inspiring activist, but also a very dear friend. "Oomen was present at many international drug reform conferences, where he shared his knowledge and experience about Europe and eagerly sucked up the latest information from around the world. He was also a key source on European drug policy reforms for this newsletter (Drug War Chronicle), always responsive to our requests for information and clarifying the sometimes murky goings on across the water. We consider Joep a friend and colleague. We are shocked and saddened by his untimely departure. He leaves behind a wife, Beatriz, two sons, and a grandson.